Aston Villa will be without Jack Grealish for Saturday’s meeting with Preston North End, with the creative midfielder still yet to fully recover from a shin injury, according to James Nursey. 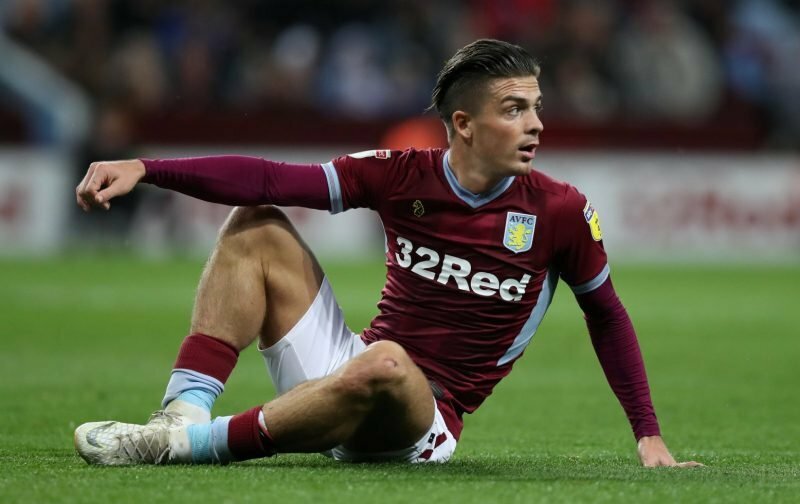 Grealish is the most-fouled Championship player this season and picked up the latest knock against West Bromwich Albion which forced him to come off in the 87th minute. He’s since missed three league outings and could be absent for three more. No Jack Grealish for #AVFC again tomorrow at Preston. The Championship's most fouled player faces at least 3 more games out with his shin injury which requires rest. It’s a big blow for Dean Smith but means Villa could line up in a similar fashion to how they did against Swansea City on Boxing Day. Conor Hourihane could operate in Grealish’s playmaker role with Glenn Whelan and John McGinn selected to be deep-lying midfielders. Jonathan Kodjia will fight with Anwar El Ghazi for a starting place out wide but the starting eleven shouldn’t look to different from the team that beat City on Wednesday. Villa are favourites to dispatch of Preston at Deepdale, with or without Grealish. The Midlands outfit have won three and drawn one of their last four away games in the Championship while Preston have suffered three defeats from five and have dropped points in two of their previous three home games. Blow Jack being out for a time, this is why Villa need to strengthen not only the defence but also the midfield. It’s up to the manager to insist that Jack wears the appropriate shin pads the most fouled player in the Championship and he plays with his shins exposed how crazy is that. Well he knew he was going to get fouled and still didn’t put decent shin pads on what a idiot.